Remember how at the start of this set I went on a bit about some of those flaws our favourite consoles had? Well the correct thing to do would be to look after the collection you have. This is coming from a guy who’s collection ended up mainly in the attack! But there were solutions to those nagging console issues that involved taking care of the console. First off keep the console box.. Really! 2 reasons. Firstly when / if a time comes when you decide it’s time to part from your long-time friend of a console it’s worth a truck load more on ebay in good condition. Secondly it keeps the console in good condition. For our cartridge based systems, they’re robust. Compared to Cds really robust. This was much like the change from VHS to DVD. The VHS could usually survive a knock or two. However, there were products that helped you take good care of your machine. 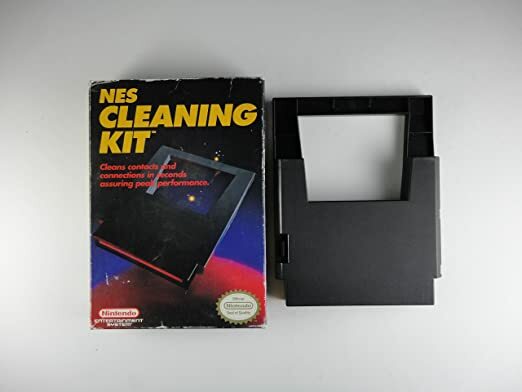 I know my NES had a cartridge cleaner and you would be surprised… And possibly a little horrified at the sort of grime that came from that cartridge holder. A quick goggle tells me that the Mega Drive and the SNES also had designated cleaning cartridges. I should point out that although this picked up a lot of grime, I can’t say it made my NES work longer. The repair was needed sooner or later. Just thanks to the cleaning cart it was later. It’s also worth noting game storage. A lot of the Sega stuff came in good plastic cases. The Nintendo sadly opted for cardboard boxes (Though NES games had an additional plastic holder). These boxes are prone to getting dog ears and damp much quicker than the Sega ones. That’s Going to do it For this set of Reaction.